There's a new catalogue coming on 1 September 2017 full of Autumn:Winter craftiness. 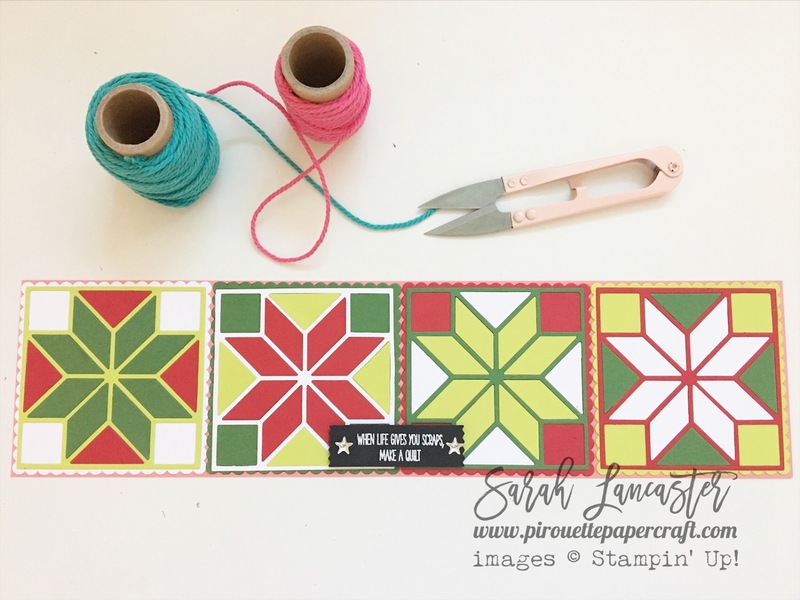 And I could not resist this new stamp and die set called Christmas Quilt stamp set and Quilt builder framelit dies. If you follow me on instagram and other social media you will know that I love my sewing machine as much as my Big Shot ! OK - back to my crafting - I'll show you some more sneak peeks soon !